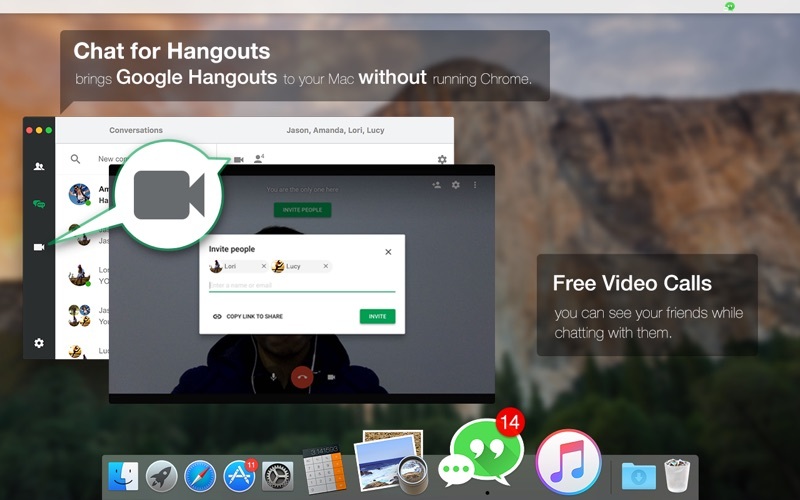 Chat for Hangouts is the best Mac desktop client for Google Hangouts by far. It supports Hangouts messages, free video calls, photo sharing, sending emojis & stickers, and many more other features. 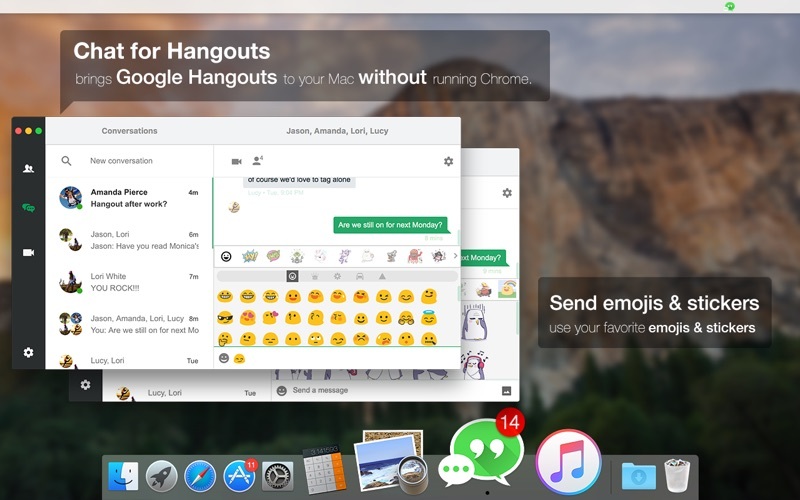 Now you can chat outside of web browsers and keep Chrome closed the entire time! • Polished Mac style user interface. 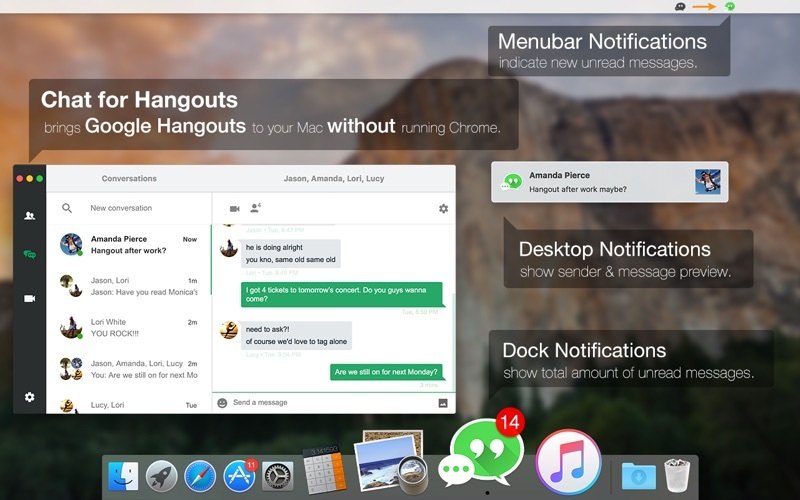 • Message notifications in Desktop, Dock & Menu bar (you can disable any or all of them). • Do not disturb mode: disable all notifications. • Custom hotkey to enable/disable “Don’t disturb mode”. • Show total number unread message count in Dock icon. • Show new unread message alert in menu bar. • Option to show/hide the Dock icon (runs seamlessly in the background). • Option to show/hide the menu bar icon. • Custom hotkey to open/hide the window whenever you want. • Option to automatically launch the app at login. • Standalone Native Mac App (No need to open web browser to send messages. And unlike the Chrome App, it works outside of Chrome, so you don't have to keep Chrome running in the back the whole time). • Optimized minimal memory & CPU consumption. • Seamless Integration with your Mac workflow. • Message friends anytime you want, even if they're offline. • Free video calls supported. • Turn any conversation into a free private/group video call. • Group conversations fully supported. • Turn any conversation into a group conversation. • Receive Hangouts voice calls. • Use drag and drop to send photos. • Say more with status messages, photos, emoji, stickers, and more. • Instantly search & find new contacts. • Load & preserve all chat history. • Various settings for app preferences and your Hangouts account. • More exiting features for you to discover. 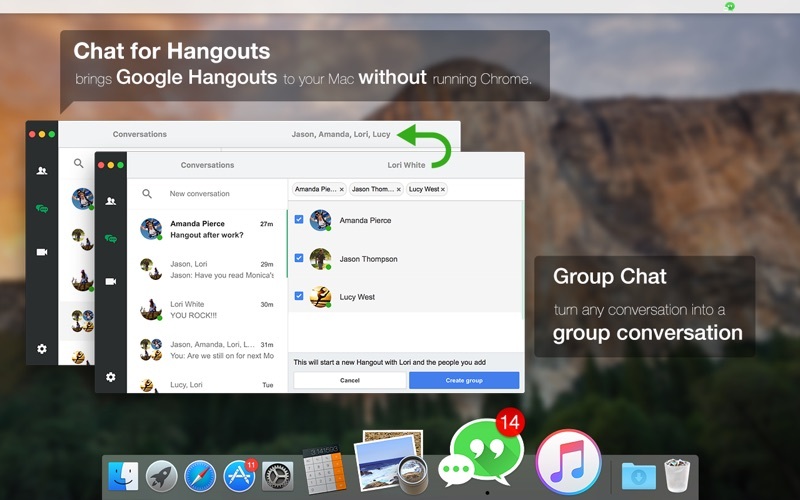 Chat for Hangouts is the best Mac client for Google Hangouts and makes everything much better & easier. 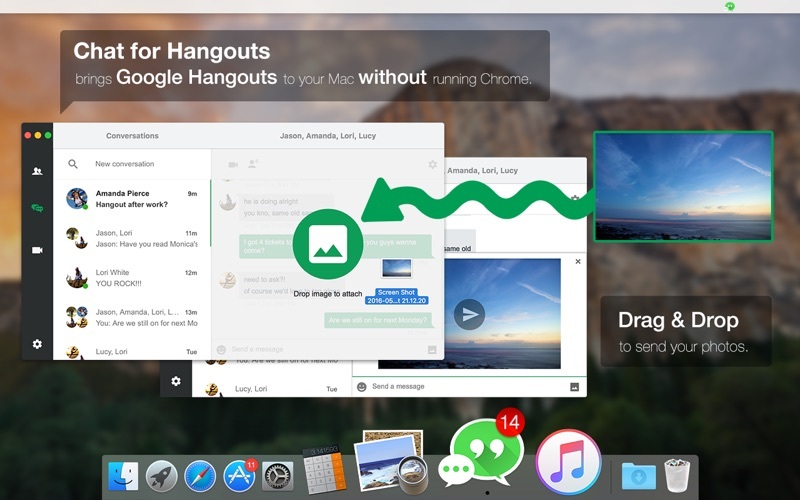 You’re definitely gonna love it if you want to use Google Hangouts on your Mac! If you wish to contact the developer for technical assistance, feature requests, or other matters, please send your email to dengxinbei.assistance@gmail.com . I’m here to help. 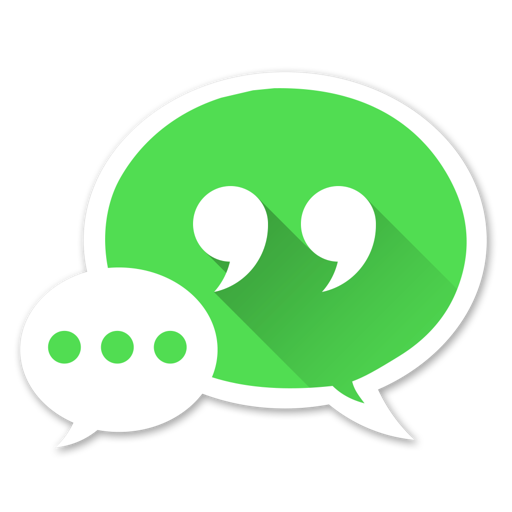 Chat for Hangouts is a third party App. The app and developer are NOT sponsored by or affiliated with Google Inc. in any way. Fixed the problem that the conversation wouldn't show up properly. 1. Better & more accurate notifications. 2. Add "Reload from Server" button in the menu bar. 3. Stability and performance improvements. 4. Ready for macOS Sierra.